Head to Hangzhou on this all-day private day trip from Shanghai. Depending on group size, you’ll either travel to this scenic Chinese city via bullet train or van. 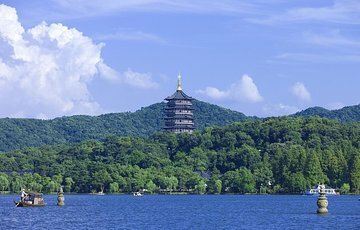 Once in Hangzhou, visit the top attractions including the Flying Peak carvings, Temple of Soul's Retreat, Longjing green tea plantations, West Lake, and the ornate Old Residence of Hu Xueyan.